Summer's Over And It's Time To Close Up Your Pools! Making a Splash at Our Full-Service Pool Store! Darla's Oasis Pool Store & Service is Evansville's pool supply leader. We're celebrating our 5th anniversary - we're proud to be Evansville and the Tri-State area's trusted resource for chemicals, parts, toys and games, as well as pool maintenance and repairs. You can count on our knowledgeable and friendly staff, with over 25 years experience, to provide you with whatever you need for your pool - from simple repairs to specific chemicals and parts. Don't drown in debt for pool supplies or services - come to Darla's and get everything you need at prices you can afford. Pools can be a challenge to keep up with - that's why at Darla's Oasis Pool Store & Service of Evansville provides outstanding swimming pool services and sells top-quality pool products to make things a little easier. Our store has a wide selection of supplies (over 3,000 sq. ft. worth!) to aid with pool maintenance and add to the summer fun. From chemicals and pumps to above ground pools, Darla's has what you're looking for. •Knowledgeable associates - our staff has decades of experience! You don't have to spend a ton of money to have pool supplies shipped. You don't have to keep searching around for quality pool specialists for maintenance. 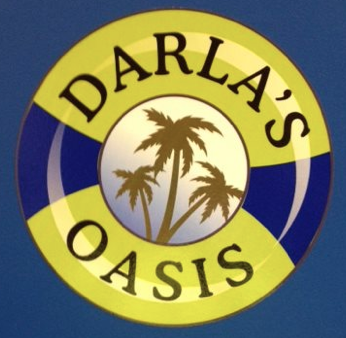 You'll find everything you need and so much more here at Darla's Oasis Pool Store & Service. Stop by our pool supply store in Evansville any time! We are open 7 days a week, located between Gander Mountain & Hobby Lobby. Darla personally came out to check our pool which had a leak and lost water and in turn our liner had floated out. Darla explained what needed to be done to resolve the issue, which was very simple. Other pool companies immediately said I had to completely replace the liner which would have cost thousands. Darla is very knowledgeable. I will be going to Darla's Oasis for any pool needs from now on. OMG! Just bought a new house with a pool... So we are rookies. We have called all around Henderson and Evansville and happened to find this place. All we have to say is WOW! She is knowledgeable, friendly, helpful, and just super fantastic! Way impressed with the service we received today! Thank you so much for doing such an amazing job opening our pool this week! We have never had our pool looking this good! You guys ROCK! Copyright © 2019 Darlas Oasis, all rights reserved.